The best news story of the day is once again thanks to the BBC, with this gem. Nothing wrong with a bit of cannibalisim I say. I mean who hasn’t wondered what their lover’s thigh might taste like? And what could go better with a thigh than a bottle of piraat? 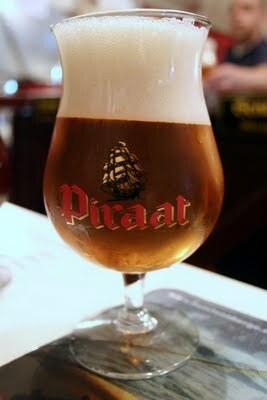 Settling back with a glass of Belgian beer and discussing the insanity swirling about our heads.